‘Tis the month of gratitude. This year, I’m especially grateful for the convergence of some lifelong loves: painting and poetry. I’m happy to announce a double-date of the two: on November 9th, I’m having a reception for my art show, Wordbody: Drawings in Paint, and releasing my book of poetry, TheSpace Between. Since that’s also the day before my birthday, I decided to make it one big celebration of art, words, and life. But because not everyone can be here in Jacksonville, OR, I’m also making my book, The Space Between, available now on amazon.com. 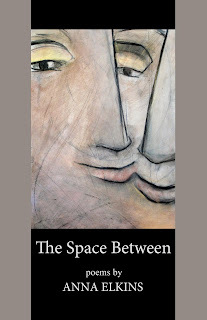 The poems span over a dozen years and explore the tension of distance: the space between a man and woman, between a promise and its fulfillment, between heaven and earth. If you are in the area, join me in Jacksonville at South Stage Cellars on November 9th from 5-8 pm. At the reception, enjoy award-winning wine, complimentary hors d’oeuvres and cake, and live music by the talented Jeff Kloetel. 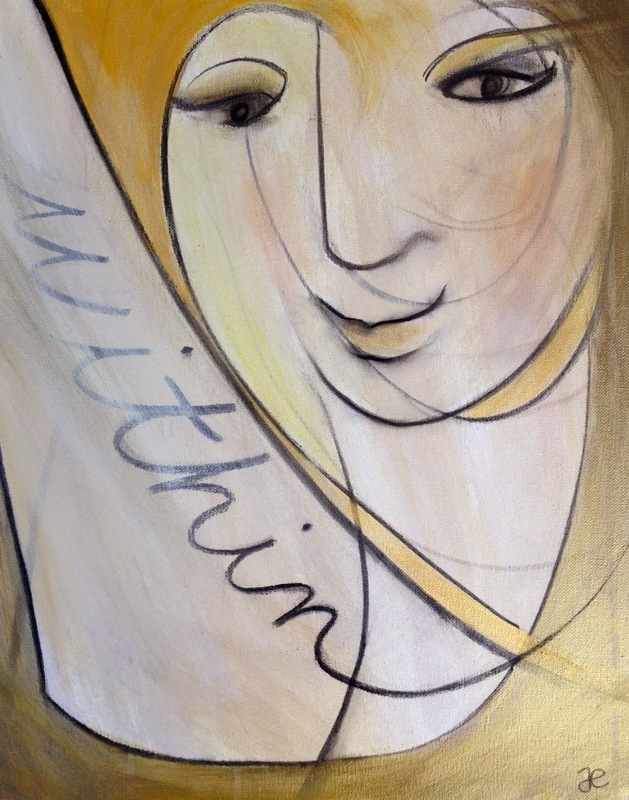 The paintings and poetry book will be available for sale. The Wordbody show runs 5 to 29 November. What is the space between two people? Between a promise and its fulfillment? Between heaven and earth? This collection of poetry asks us these questions by weaving what is with what is dreamed. The resulting fabric is fine enough to see heaven through and thick enough keep us warm in earthly winters. For just $7 (print) and $2.99 (Kindle), this book of poetry makes a great little gift for yourself, for a Thanksgiving host, or for Christmas. I have been enthralled by the link between word and image since I learned to hold a pencil. As a poet and painter, I finally found a way to combine my two loves in this Wordbody series. 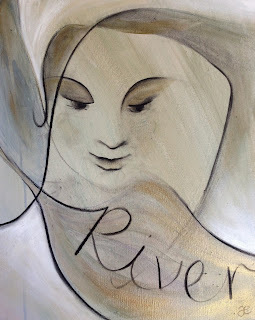 Each painting visually expresses the progressive word/s of a single poem. 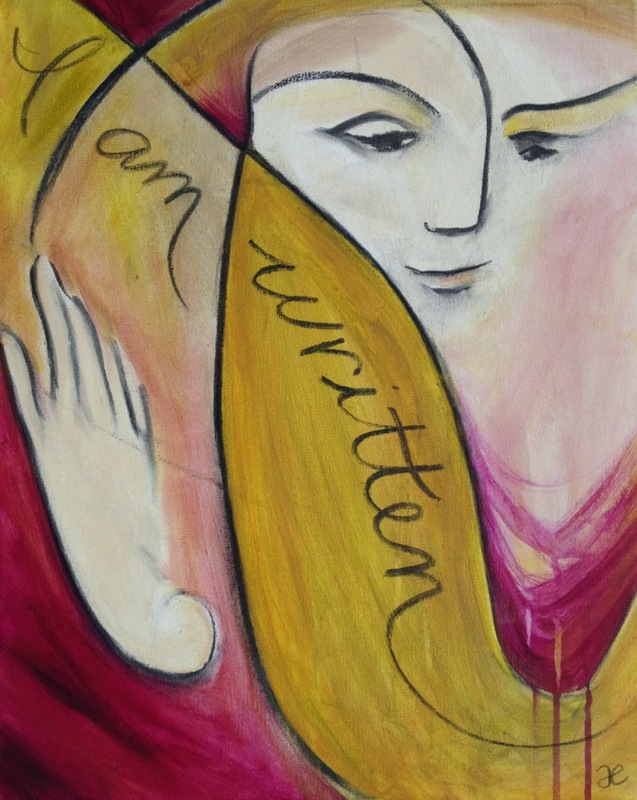 I painted as I wrote and wrote as I painted, sometimes adding a single word to the poem every few days. On the canvases, some of those words form images, and some images extend into words. All of the paintings reveal the process of creation: charcoal smudges, layers of glosses, and gestural lines. It was the very process of creating this series that fascinated me most. Revision (re-visioning or “seeing again”) is something I had been quite familiar with in writing and painting, separately. But what surprised me was the way revision occurs when simultaneously working with word and image. When the poem got stuck on a word, an image would move it forward. When an image grew stilted, a new word brought it grace. The process became an interplay between left and right brain—language and the visual happily collaborating with each other. May your upcoming holiday season be filled with goodness. Here’s to continued blessings to be grateful for!